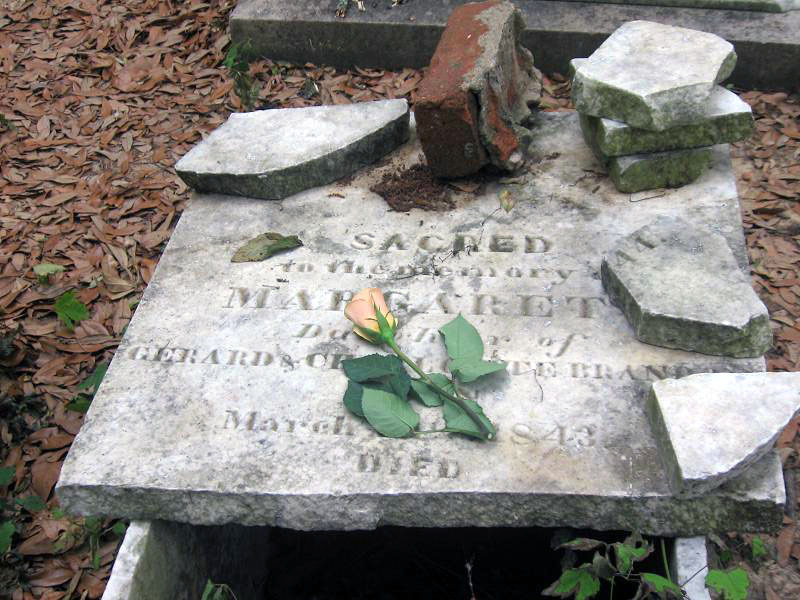 In the early 1840's, the Brandon's lost their first child; an infant daughter named Margaret. She was fourteen days short of marking her first birthday. At this time, Gerard and Charlotte Brandon occupied a 3-room brick dwelling that would later become the foundation for their great home, Brandon Hall. Work would not begin on the home until Charlotte's father, Nathanial's, death in 1853. I have been unable to find out what happened to little Margaret, but I believe that she was named after Gerard's mother, Margaret Chambers. 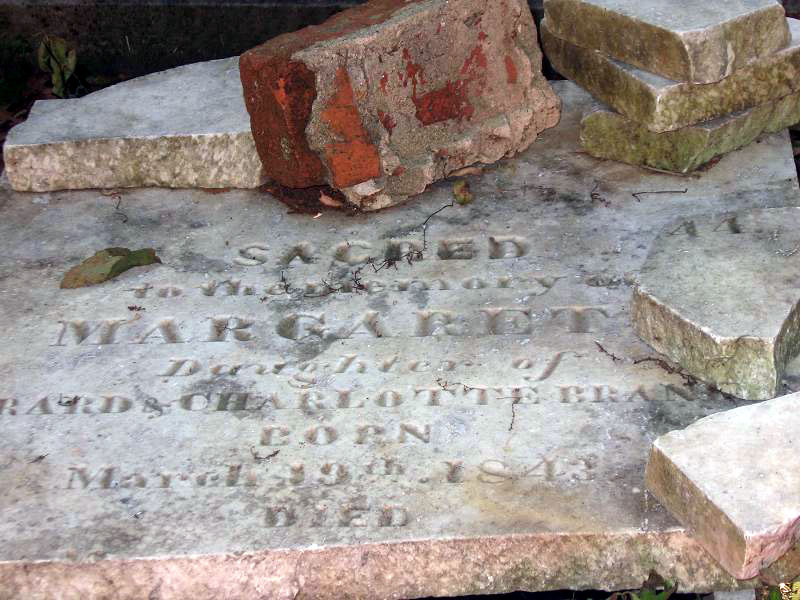 SACRED TO THE MEMORY OF MARGARET S.
who was born Mar. 19th, 1843. Died Mar. 5th, 1843.